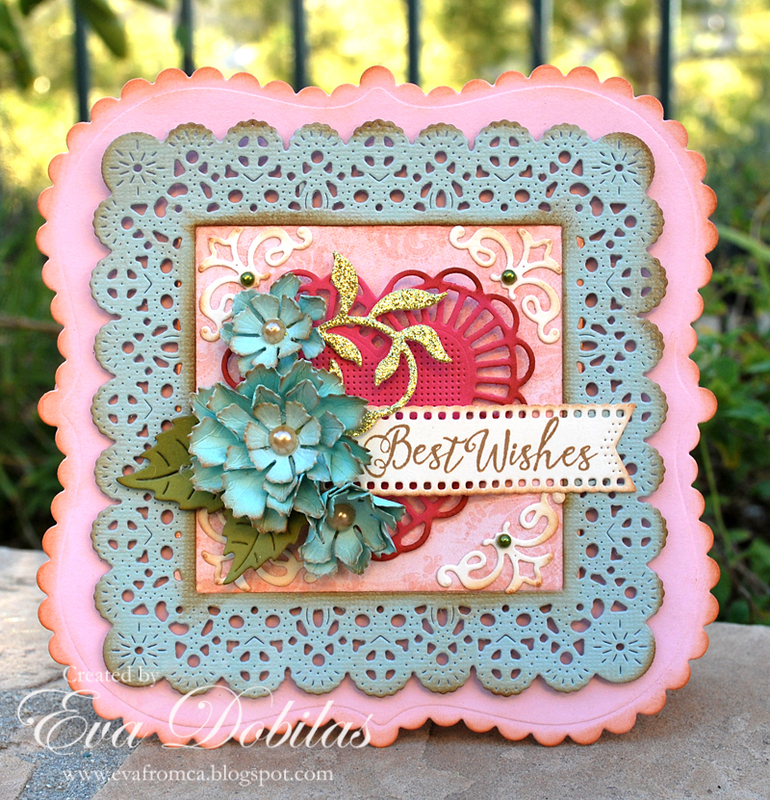 Hi there, hope you had a great weekend, today I am sharing a sweet card in honor of our newest Cheery Lynn Designs challenge, which is using doilies. Well, I love doilies, regardless what shape they are, so I opted to not use the typical circle shaped doilies. To start out my card I created a card base using two French Flair Scalloped LG Stackers Nesting dies and adhered them together at the top. Than I die cut Dutch Scallop Square out of light blue card stock and die cut a square to fit inside of it out of patterned paper. Than I die cut the larger of the Two of Hearts dies and placed it in the middle of the square. I die cut the corners from the Royal Scandinavian Tag 2 and placed them in the corners. 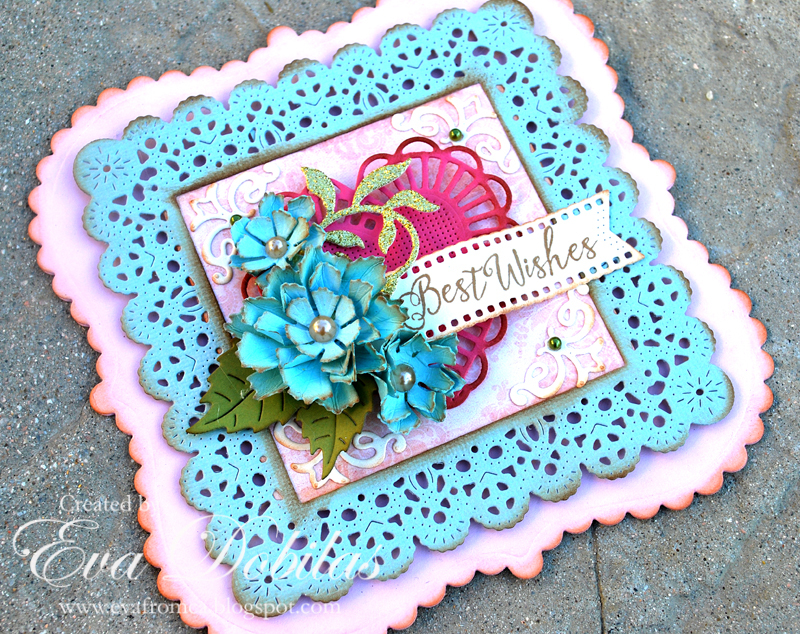 I also die cut a Sweet Williams Strip out of blue card stock and created three different size flowers and placed flat pearls in the middle and placed them on the side of the heart doily. I die cut the smallest of the Pierced Banners and stamped my sentiment on it and added it to my flowers. Finally I die cut the smaller of the Leafy Flourish out of gold glitter card stock and added it to my flowers.